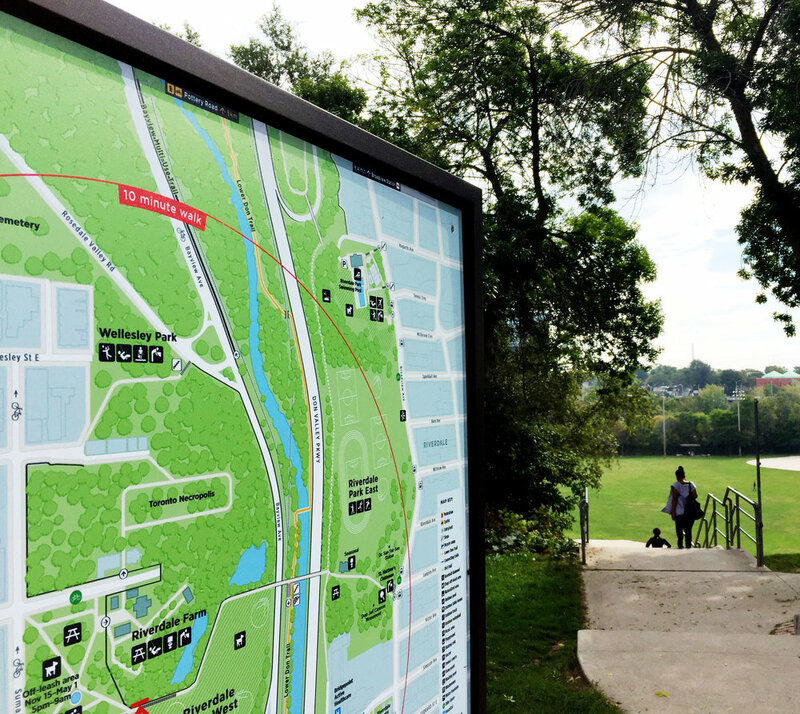 Following on from Steer's successful delivery of Toronto City's TO360 wayfinding strategy we were appointed by the City of Toronto’s Parks, Forestry & Recreation team to deliver an ambitious project aimed at improving wayfinding across the City’s 1600+ parklands. The Toronto Parks & Trails Wayfinding project is being undertaken in three phases. Phase One, completed in 2014, established the wayfinding system framework including system principles, general style and design guidelines, and an implementation strategy. The framework provided the necessary tools and approach for Phase Two – design and pilot implementation - which began in January 2015, and was completed in summer 2017. Following a successful evaluation of the Pilot, the City is preparing to move ahead with Phase Three, citywide implementation early in 2019. With over 1,600 parks and green spaces modularity and scalability were key to the development of the product and information system design. The use of the TO360 base map as the primary map output for parks is at the core of the information system. By adapting this base map to the differing needs and focus of the parklands we have been able to provide seamless integration between the urban and parks environments. .